Have you ever gone back to a place that you loved and found that it had changed? Or that your experience of it was very different? Two years ago I was planning my first return to France in over 10 years, and I was nervous about seeing Paris again. 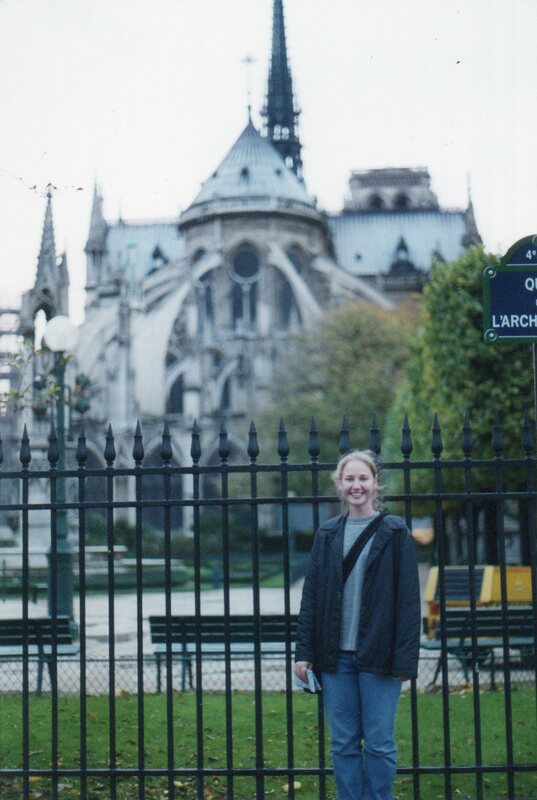 Paris had defined travel when I was in my early 20’s; it was the place I’d always wanted to go to, and the place I traveled to the most during my year abroad in college. I’d imagined that it was a beautiful, magical place, and my actual experience of it didn’t let me down: Paris did feel magical. Being there made me feel alive and so full of hope and possibility. I was young, and I hadn’t traveled overseas before. 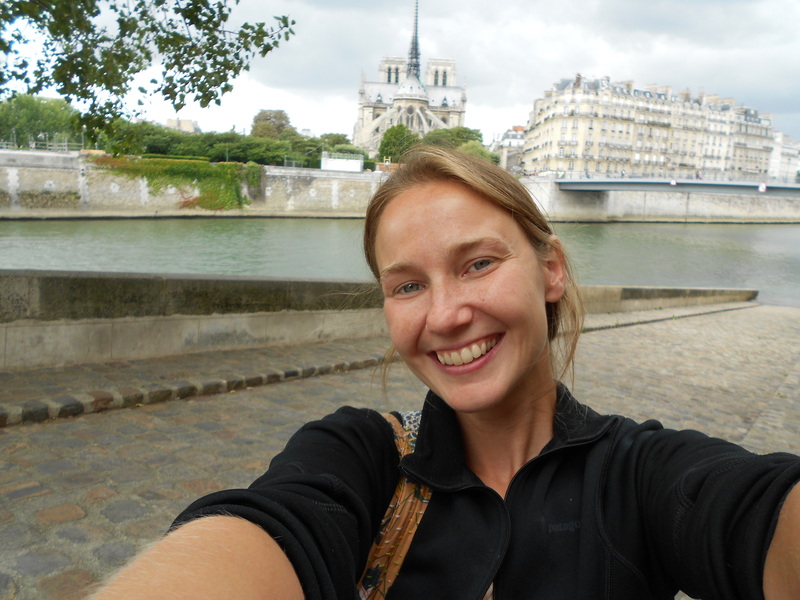 I learned- in small doses- how to be brave in Paris, and it was something I didn’t even really think about because I was desperate to see as much of the city as I could. So I would set my alarm for 6am and wake up before the other students in my program. I’d wander through the streets with my camera in hand, then return to the hostel and join my friends for breakfast. I learned how to ride the metro, I learned how to find my way around cemeteries and museums, I learned how to drink coffee. When I returned to Paris, on the eve of my 33rd birthday, the city felt different. The buildings still seemed to glow, Notre Dame was just as majestic as I’d always remembered, but something was off. I still wandered through the streets, taking photos and drinking cafe cremes. Weaving through the tombstones of Pere Lachaise, I tracked down Oscar Wilde and Jim Morrison. I slept in the same hostel that I had when I was 20, I ate the same baguette breakfast. Climbing up the 400-odd stairs to the top of Notre Dame, I put my face up to the wire fence and looked out over the city. This was still Paris: beautiful and enchanting and foreign. The changes that I noticed? It wasn’t Paris that had changed, not really. Drinking my first cafe creme was probably the biggest tip-off. It’s difficult to explain how important cafe cremes were to my year in France, when I was a college student: I’d never really drank coffee regularly before, and I’d never made ‘sitting in a cafe and watching people and spending hours talking about life with my friends’ an everyday thing. As I moved through my twenties and looked back on my time in France, the cafe creme became symbolic. It was France, and it was travel, and it was me, at that time. 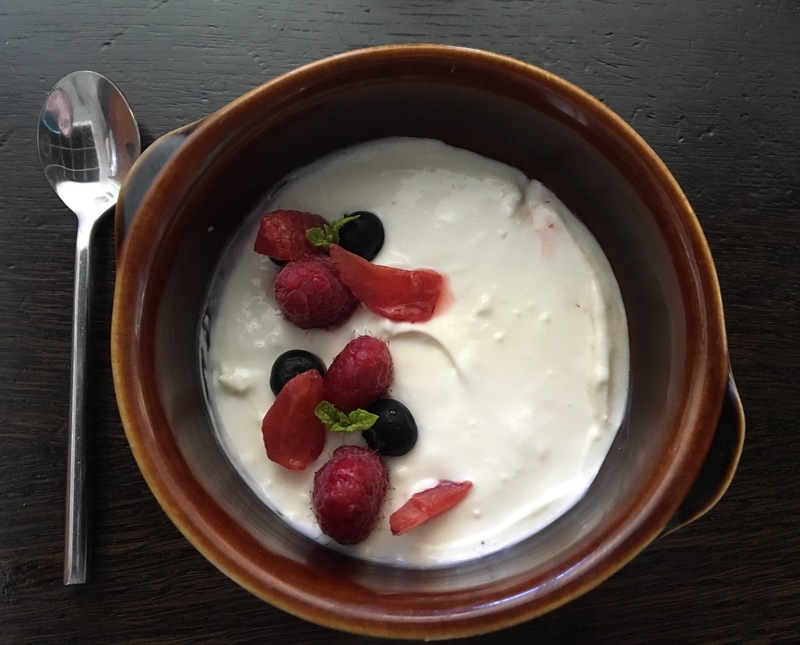 So when I returned to Paris and sat in the basement room of my hostel with my red breakfast tray spread out before me, a cup of creamy, hot coffee in my hands, I smiled before taking my first sip. I took the first sip, and then I frowned. This was what I had been waiting for, all of these years? This was a cafe creme? From 20 to 33, I’d changed. It wasn’t just about the coffee, although that was part of it. Back when I was 20, I didn’t know what a really good cup of coffee tasted like. And I suppose I didn’t know what the world tasted like, yet. I still haven’t traveled all that much, and there’s still so much more life I need to experience. But I’d grown in 13 years. I still have a somewhat childlike sense of wonder and innocence, but it’s very different than what I had at 20, when it defined so much of my life and how I saw the world. Recognizing these changes, as I wandered through Paris, was a little unsettling. I walked through the city and wondered what I was looking for. I knew I wouldn’t be able to find the 20-year old girl who had been here that first time. As the days passed I realized that these changes were okay. On my 33rd birthday I walked into a cafe that I’d remembered being in with my friends on that first trip to Paris. On that night, years ago, we’d crammed around a table on the terrace of the cafe, drinking hot chocolate and giggling about life. On this night, I walked into the cafe and I asked for a table. I was seated outside, with a view of the Seine and the spires of Notre Dame. After ordering a glass of wine, the waiter complimented my French. I’d made several mistakes- fumbling over the word ‘boisson’ (which means ‘drink’)- and we laughed. I wasn’t self-conscious in the way that I used to be; my French was more rusty than ever, and yet, I was more confident about speaking than when I was 20. I’m thinking about changes and how we experience the same place in different ways because of my upcoming Camino. I’m nervous about returning for a 2nd time, even though only a year separates my two pilgrimages, whereas over 10 years separated my visits to Paris. 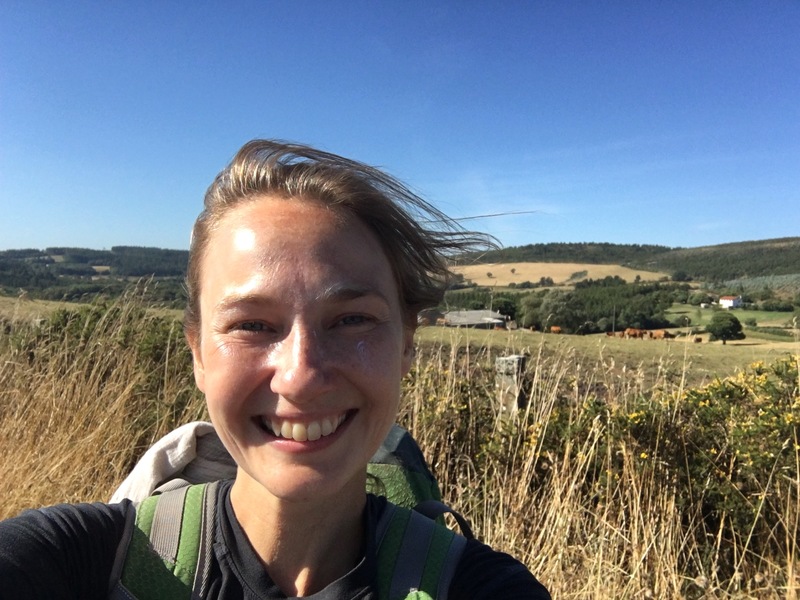 I haven’t changed all that much in the past year, and yet, I know that my second Camino will be very different from my first. Will my return to the Camino be like my return to Paris? Will I be more confident? Will I relax a bit about my fears? Will I use the knowledge that I gained on my first trip and hit the ground running on my second? Will I be able to work on the lessons that I feel I was just beginning to learn as I ended my first pilgrimage? Will I still love the walking? Will I still avoid blisters and still make some friends? Will I still love the cafe con leches?? 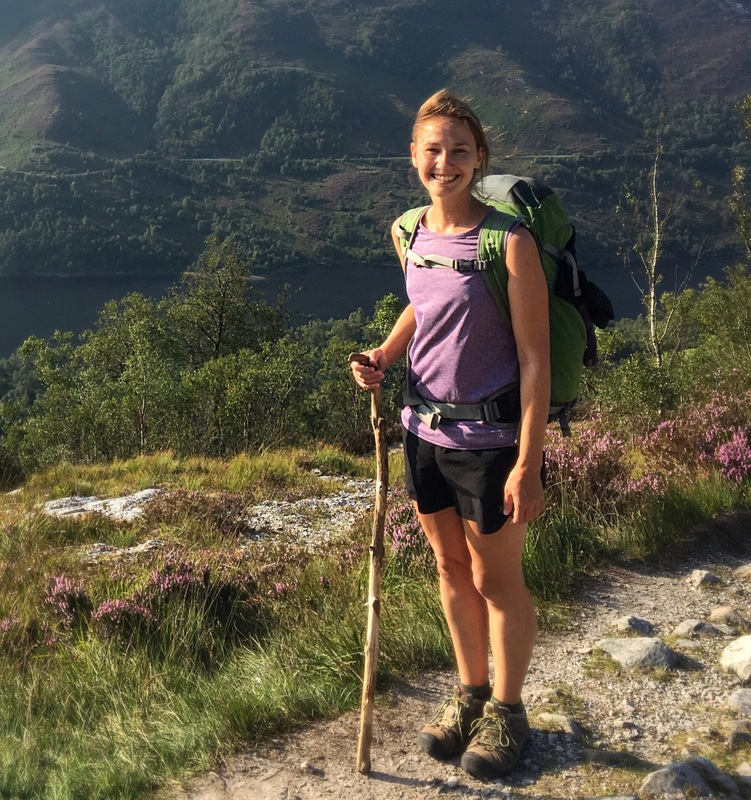 I’d love to hear about your experiences of a place or an experience that you returned to- whether it was the Camino or something (somewhere) else. Were you disappointed? Did the return exceed your expectations? Will you continue to return again and again? The toughest, the prettiest, the luckiest. I’ve been thinking about this blog post- the one I’m about to write- for weeks. 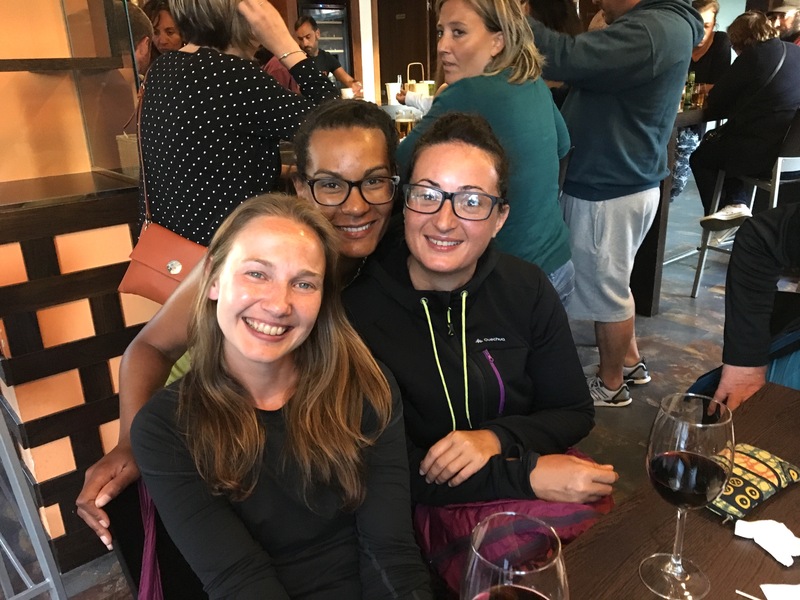 It started to form in my mind as I was doing all of my post-Camino processing: thinking about the things I experienced, the people I met, the lessons I learned. Some of what kept coming back to me were the things people said to me while I was on the Camino, things they said at the end. 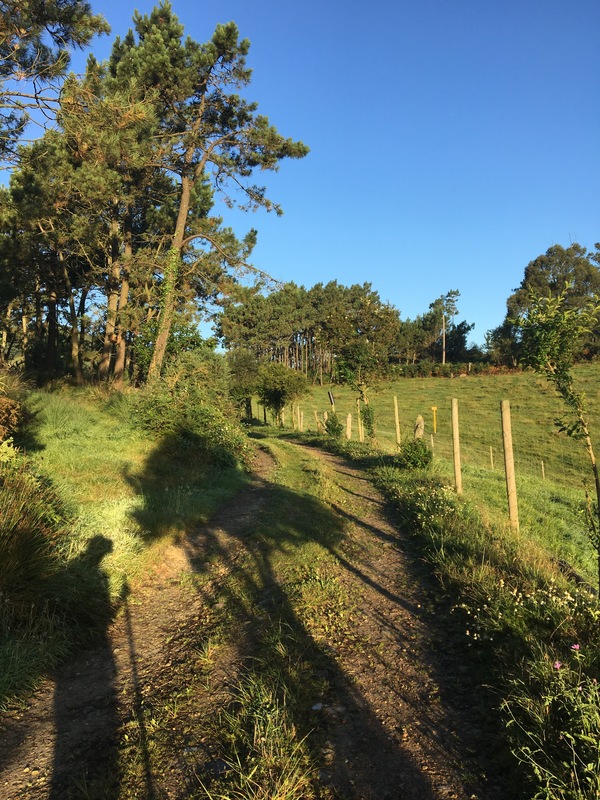 And things that I told myself on the Camino, things I told myself at the end. This could be a long post. 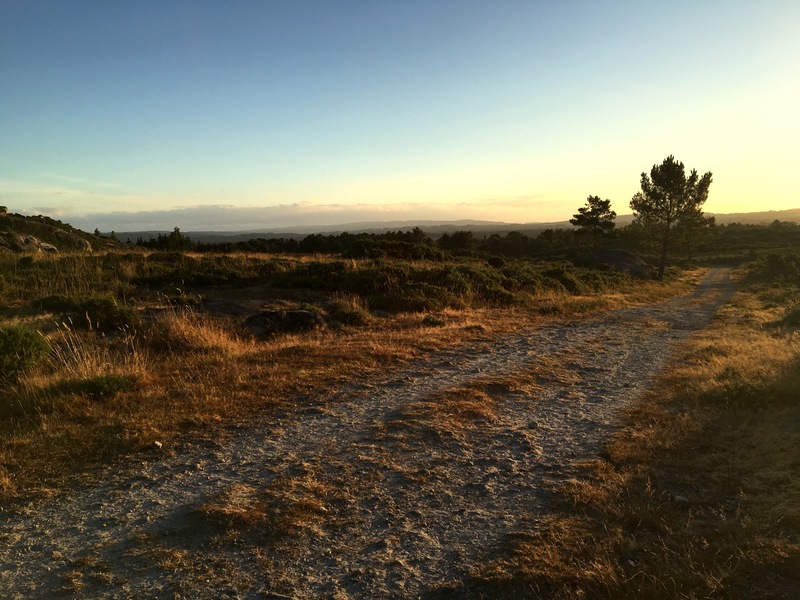 I was called, several times, three different things on the Camino: tough, pretty, and lucky. Someone called me the prettiest. Someone called me the luckiest. No one called me the toughest but sometimes it was implied that I was one of the toughest. And I was a bit uncomfortable each time I heard these words. And I often denied it. “No no,” I’d protest. “I’m not that tough. Really. I’m not sure why I’m handling this walk so well, but it’s not because I’m tough.” I didn’t even know what to say about being called pretty. And lucky? Well, maybe I agreed with that one a bit. But it was always about more than just luck. You’ve probably gathered, through reading my posts while on the Camino, that I didn’t struggle with this walk in the physical sense. I had some aches and pains, but they were minor. I sailed through the majority of the walking, not feeling the pain in my body like the majority of pilgrims do. I was always, from day one, a fast walker. I must have sometimes been an amusing sight- this somewhat petite, compact girl swooshing up the hills, her socks swinging wildly on the back of her pack. I would often get into a rhythm and just go, my mind far off, zoned out, in some sort of semi-flow state. It became a bit of a joke by the end that I somehow always missed stuff. At the end of the day people would talk about the things they’d seen on the day’s walk, and I had no idea what they were talking about. Sometimes it was just about a grove of trees, or things growing in a garden, but later it was the bigger stuff. Did you see that cathedral? they’d ask. What cathedral? I’d say. Somehow I missed the official 100 kilometer marker- I have a photo with a 100 kilometer marker but it’s not the “real” one, as I later found out. I missed the ‘Santiago de Compostela’ sign as I entered into the city (don’t ask me how, I walked right past it). 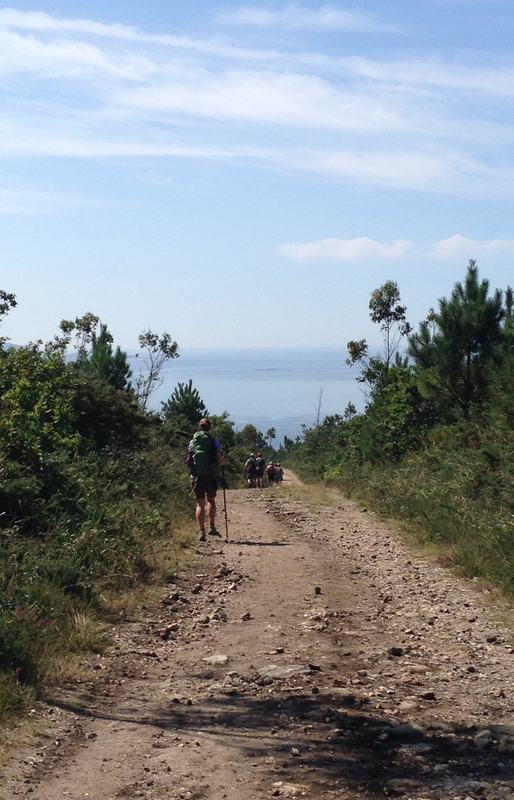 I missed the first glimpse of the ocean as I walked to Finisterre. People- myself included- thought this was hilarious. It’s not like I wasn’t taking in the space that I was walking through, because I was. In a big way. But sometimes I would just get into a zone and I could only see right in front of me. Or I could only see what was far beyond. In any case, when I got in these zones I was a walking machine. I could plow through kilometer after kilometer and even at the end of the day, I’d felt like I could just keep going and going. I loved the walking. But does that make me tough? I think some people thought so. The Korean boys all joked that it was impossible to catch me, and sometimes they tried. I walked the Dragonte route- three big mountains- and every time someone heard that I did this they had a big reaction. “Wow, you’re tough,” they’d say. Is it because I’m a woman? Is it because I’m not that big? Is it because I was out there alone? Is it because I never fully attached myself to anyone, and insisted on doing this by myself? And isn’t this tough, in some ways? Shouldn’t I be able to say that traveling alone to a foreign place to walk 500 miles across the country is tough? That, at least in some part, it requires a bit of toughness? Because it does. It does for everyone that completed this walk, everyone who attempted this walk, everyone who walked even just one little portion of this walk. It takes some toughness. But I’m not the toughest. People were battling out there. You can’t call me tougher than that 75 year old Frenchwoman I met. Or tougher than the mothers and fathers out there with their children. Or, for that matter, tougher than the children. In fact, I think I could probably go through just about every single person I met on the Camino and find a reason that they were tougher than I was. And yet, that’s not what this is about. 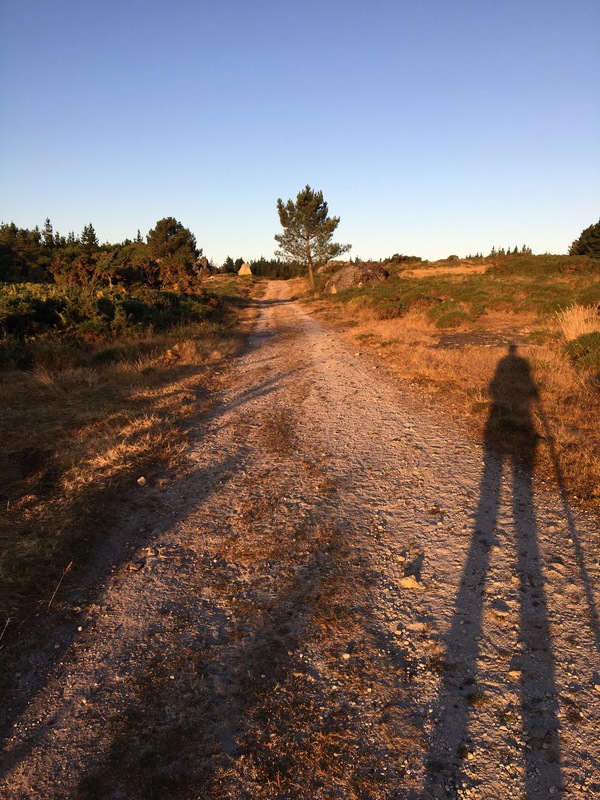 I wasn’t the toughest person on the Camino, but the truth is, I was tough to do that. I’m tough. It’s a hard thing for me to say, but there it is: I’m tough. And here’s the next one: I’m pretty. This one is also so hard for me to say. Always- growing up, in my regular life, on the Camino- I see so much beauty in people. So many pretty girls and women all around me. Women who have it all together: the hair and the makeup and the clothing and the demeanor. All of it. I’ve never had that. I make sure that I’m at least satisfied with my appearance, that I can appear in public and not be embarrassed (although, quite frankly, there have been a few close calls), but that’s about it. I don’t often try to make myself look very pretty, and I prefer to just blend into the background. Not to be noticed. But on the Camino, people noticed. I was walking- fast- down a rocky hill one day and came upon two Frenchmen. The older one turned around when he heard me approaching and called out to his friend: “Attention! La jolie fille nous passe.” The pretty girl is passing us. It made me smile (and I think I startled them by responding with, “Ah, merci beaucoup!”), but it also caught me by surprise. I was just referred to as ‘the pretty girl’? Really? I still didn’t know what to say, and probably just protested for awhile and then said goodbye. But this, too, surprised me. The prettiest? Not by a long shot. There were some very, very pretty girls on the Camino. But this was another Camino lesson for me, just like needing to be able to admit to being tough. I am pretty. I’m not the prettiest, just like I’m not the toughest. But I am pretty. On the Camino, my hair wasn’t always clean, I had an extremely uneven tan, I wore the same dirty clothing every day… but I was pretty. I almost always wore a smile, my face was usually bright and shining. And I think there was probably some beauty in that. Luck? Coincidence? Maybe. But I think it goes a bit beyond luck. I already talked about the Camino providing and I still believe that’s true, but it’s also more than that. 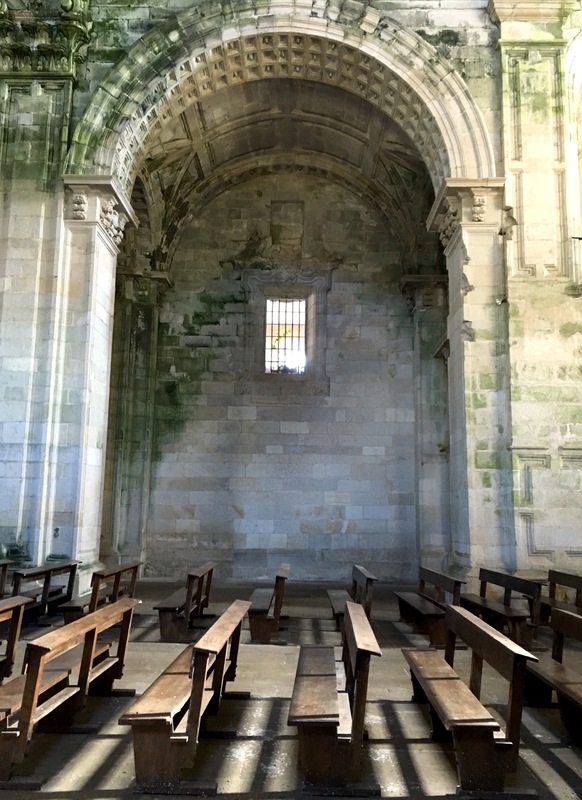 I prayed to God while I was on the Camino, and as I moved closer to Santiago I had more and more conversations. I was provided with what I needed- by the Camino, by God, by a few guardian angels I suspect I have working for me. I was lucky, and I’ve asked myself time and time again why, but really it doesn’t matter. I tried to never take my luck or my walk or each day or any of the trip for granted. 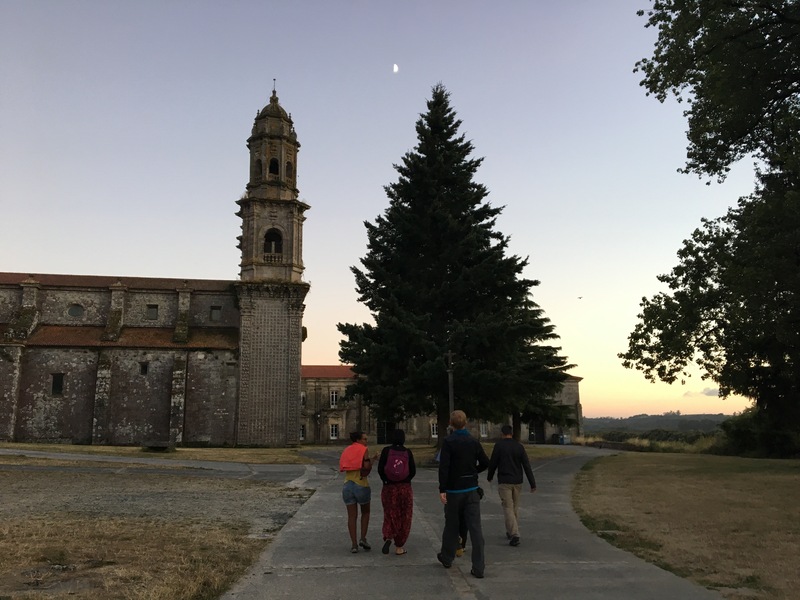 I tried to appreciate as many moments as I could while I was on the Camino, I tried to practice gratitude. And maybe that’s why I sailed through the kilometers, or had a shining, happy face. Maybe that’s why I felt like so much good was coming to me. Maybe. So, the toughest, the prettiest, the luckiest? No, not really. But I am tough, and I am pretty. And I was so, so lucky. After an extra 24 hours in Iceland, I’m on my way to St Jean Pied de Port. 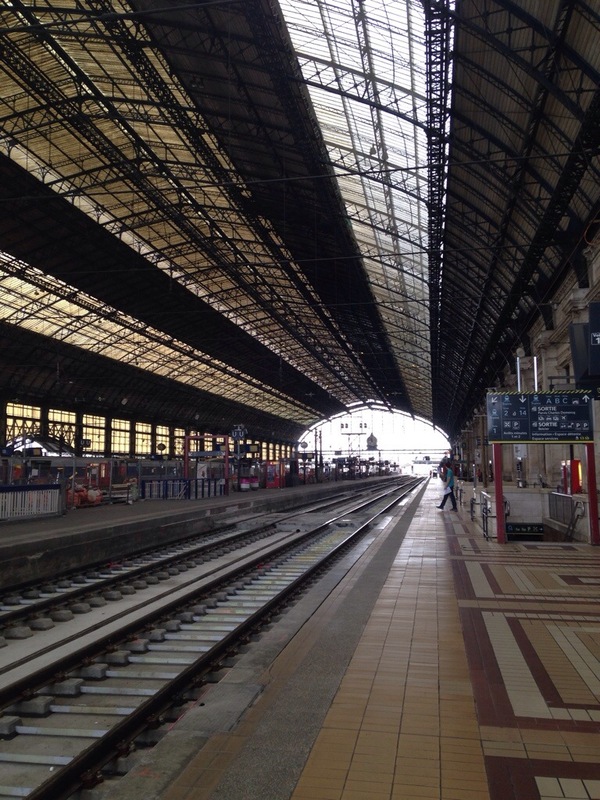 It’s close now: I’m on a train in Bordeaux, about to depart for Bayonne, where I’ll switch again for SJPP. Iceland was sort of like a twilight zone- which is not to say that it was undesirable or strange- but that it felt like it was existing in some sort of separate space and time. I mean, it never got dark! Was it 10am or 5pm or 11pm or 4am? And for that matter, what day was it? When did I leave JFK, how long had I been traveling, what was the time difference, when should I be eating, how long have I been wearing these clothes? I’ve had two hours of sleep in the past… I don’t even know how many days. It’s felt like I’ve been traveling for weeks, but I think it’s under two days. Or just over two days. I’m not sure. Choosing to take the later flight out of Iceland- despite the Twilight-zone-ness of it all- was a good choice. I flew “overnight” to Paris, and on the way to the airport hung out with Luke, the last of flight #612. I felt like I had a friend with me, someone I’d known a lot longer than a day and a half. Once we got to Paris we hugged goodbye, and I thought that this was a great way to begin my trip. I’ve been very focused- and worried- about the connections I’ll make with others while I’m away, and traveling to Paris with Luke felt like a good omen. I effortlessly found the RER and made my way to Montparnasse. I just did a very similar trip last year (catching a train in Montparnasse for the south of France), but that time it felt difficult. Not really knowing where to go, lugging around a huge suitcase, experiencing Europe after being away for so many years. This time? Carrying a bag on my back is a great way to go. I made all of my connections so quickly that when I showed up at the ticket booth to find a way to SJPP, I ended up on a much earlier train than I expected. In fact, the whole thing was so simple, and I was even speaking French! Last year I forgot to get my ticket ‘composter’, I was on the wrong car and in someone’s seat, and trying to explain myself in French was a disaster. I don’t know exactly what happened between last year and this year, but in terms of traveling, I’ll call it confidence. And experience. In any case, I’ll be arriving in SJPP around 4:30 this afternoon, giving me about 3 hours more time than I thought I would have. It’s perfect. Enough time to buy a credential (the passport I’ll need to present in albergues and cafes to prove that I’m a pilgrim), track down a walking stick and scallop shell, and take a look at the town. And take a shower. At this stage, that’s important. 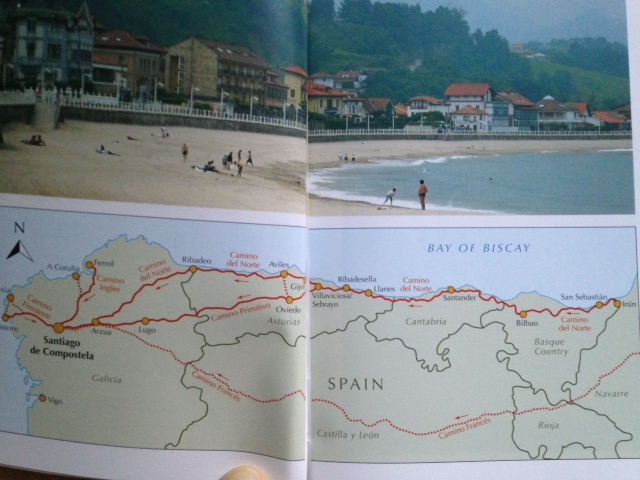 And tomorrow, it will be time to begin this walk, and time to tackle the Pyrenees. Because of the travel delays, I lost my reservation at Orisson, the alberge in the Pyrenees that would have split up a long and difficult first day’s walk. 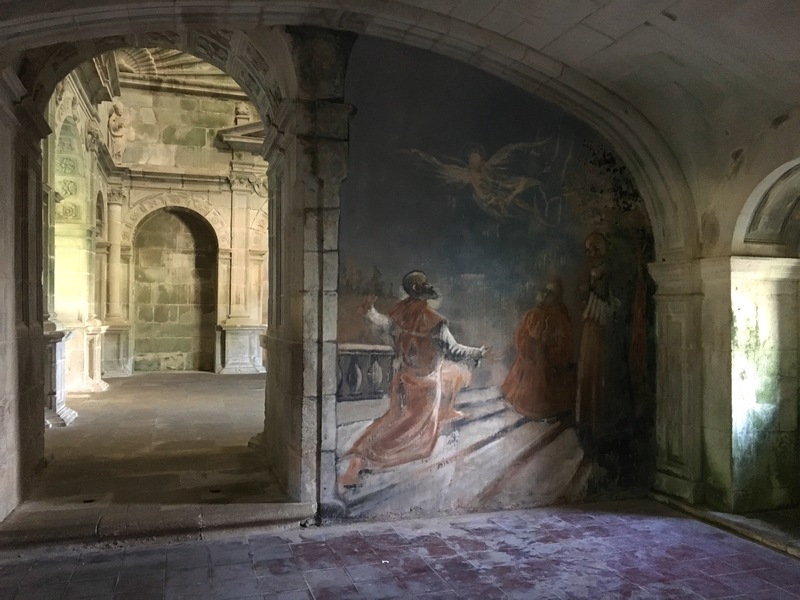 So now it will be straight on to Roncesvalles, and I will have to do what just about everyone considers to be the most challenging day of the entire Camino. (Partly because of the steep ascents and descents, and partly because this is the very first day). As I was getting on this train I thought I saw a small group of Pilgrims: 3 or 4 guys, all young and fit, with big packs and European accents, laughing and shoving each other. I chickened out and didn’t say anything, but finally, this pilgrimage feels close. I’m moving towards my starting point and others are, too. A whole bunch of people from all over the world are congregating in a small French town to begin a long walk, and this will be the group I start with. I have some nerves, and I may have a lot more when the train pulls into SJPP, but right now it’s mostly excitement. Time to walk!